WHITEHOUSE STATION, N.J., April 5, 2018 /PRNewswire/ -- Chubb announced today two executive appointments in its North America Insurance operations. Christopher A. Maleno has been named Division President, Field Operations, and Matthew Merna has been named Division President, Major Accounts. Both appointments are effective July 2. Mr. Maleno will have responsibility for Chubb's field organization in North America, including 48 branch and regional offices in the United States and Canada. He also will be responsible for local delivery of the company's full capabilities and services to agent and broker distribution partners and managing these relationships. Mr. Maleno, who is a Chubb Group Senior Vice President, most recently served as Division President, North America Major Accounts. Mr. Merna will lead the Major Accounts division, Chubb's retail commercial property and casualty insurance business that serves the large corporate market in the United States and Canada. His responsibilities will include strategy, underwriting activities and results, production, and product development and management. He most recently served as Chief Operating Officer, North America Major Accounts. Both executives will report to John Lupica, Vice Chairman, Chubb Group and President, North America Major Accounts and Specialty Insurance. "Our extensive branch and regional network, which serves agents and brokers locally and delivers a wide range of commercial and personal lines products and services, is a defining strength of Chubb in North America," said Mr. Lupica. "Chris's breadth of experience, including deep distribution and field management expertise, leadership skills and knowledge of our industry and our company, make him an excellent fit to lead this important division. "Chubb's offerings for large commercial customers, including an extensive product breadth and global service capabilities, are second to none. Matt has successfully managed our largest and most complex clients and distribution partners for many years. His strong industry perspective and experience, together with his leadership and talent development skills, will serve us well as he leads one of Chubb's core commercial insurance franchises." Mr. Maleno succeeds Gerard Butler who, after more than 36 years in the industry including 27 with Chubb, will retire on July 2. Mr. Butler will continue serving Chubb in an active advisory capacity and he will work closely with Mr. Maleno. "We are grateful for Jerry's tremendous contributions to Chubb over the past 27 years," said Mr. Lupica. "We will continue to benefit from Jerry's experience as he focuses on key initiatives centered on strengthening our agent and brokerage relationships and enhancing their experience working with Chubb." 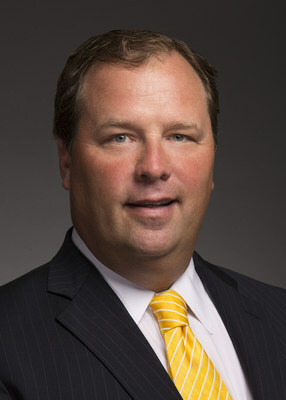 "Jerry's leadership of the Chubb field organization and branch network, which are critical to the success of our middle market, small commercial and personal risk services divisions, has left a significant mark on Chubb's business and culture, and I want to thank him on behalf of the senior management team and all of Chubb," said Paul Krump, Executive Vice President, Chubb Group and President, North America Commercial and Personal Insurance. "I have had the pleasure of working with Chris for the past several years, and I am confident the field organization will be in great hands. His experience, market connections and knowledge of Chubb will serve our distribution partners well. Chris will also have the benefit and insight of Jerry's continued engagement." Prior to ACE's acquisition of Chubb in January 2016, Mr. Maleno served as Division President of ACE USA, a position he held since 2013. He joined the company in 2007 as Division President, Regional Operations for ACE USA, and also served as Chief Operating Officer and President, ACE Casualty Risk. Mr. Maleno began his insurance career with the Chubb Corporation in 1988 and served in a number of middle market commercial lines and branch roles. He was appointed Senior Vice President, ACE Group, in March 2014. He earned a Master of Business Administration degree from Columbia University, and a Bachelor of Science degree in Finance from the University of Vermont. Mr. Merna joined ACE in 2000. During his tenure, Mr. Merna has held various senior leadership positions, including President of the Financial Solutions division and President of ACE Risk Management. Earlier in his career, he served in a range of management roles in public accounting and at American International Group in New York and Europe. He received a Bachelor of Science degree in Accounting from West Virginia University.